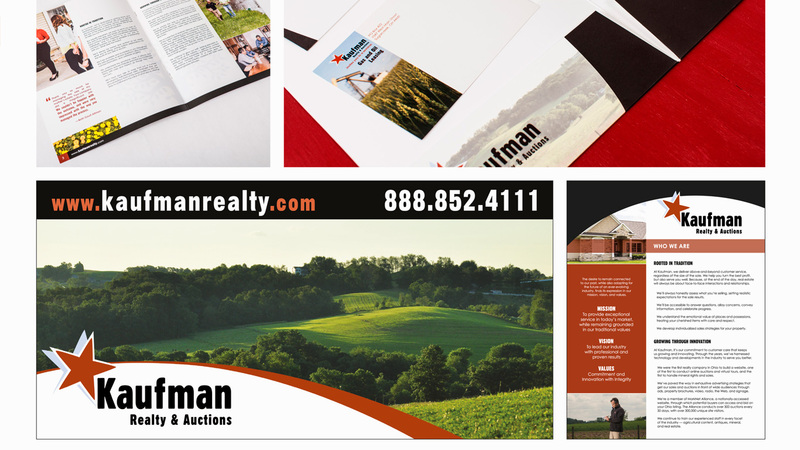 Kaufman Realty signs can be seen as you drive through the communities of Northeast Ohio. This respectable name in the auction and real estate market has been around since 1971. 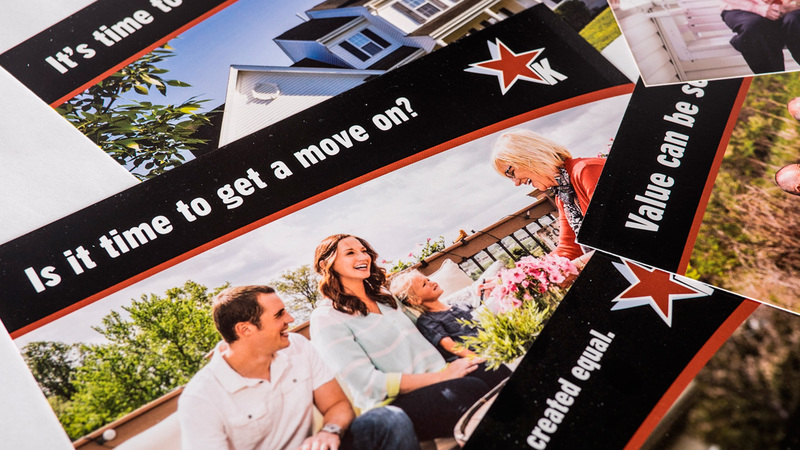 When Anthony Kaufman and the management team determined it was time to develop a stronger brand after the housing slump, they turned to Cassel Bear to lead them through the process of building on existing equity to arrive at an even stronger position. 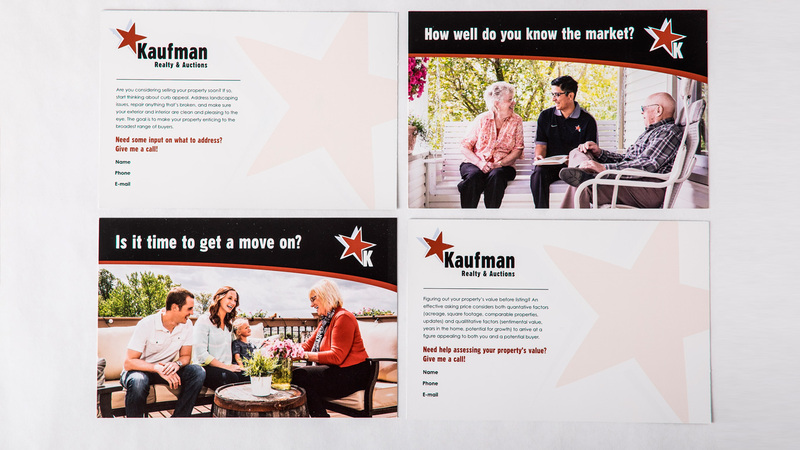 The Kaufman rebrand involved logo mark redesign, marketing pieces, and a user friendly website that is cutting edge in design and functionality. 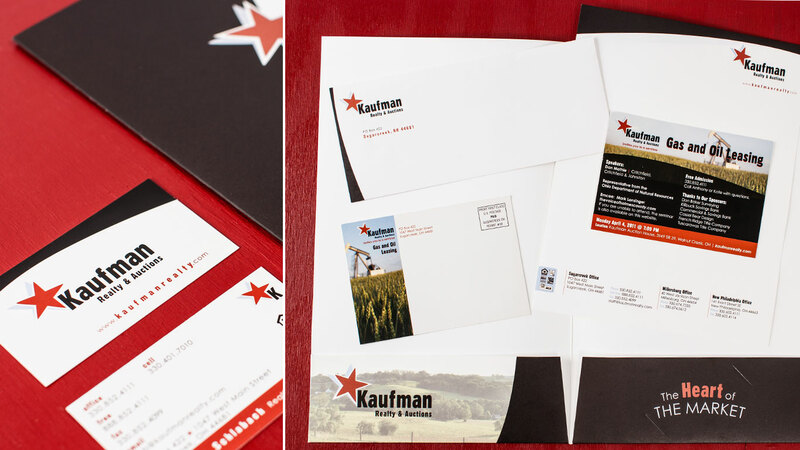 The Kaufman logo mark was redesigned to provide a stronger visual identity while still utilizing the brand icon of an orange star. 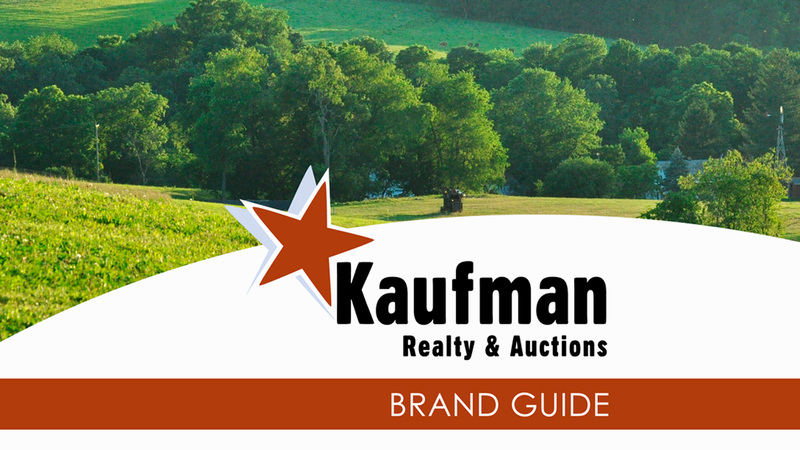 As Kaufman Realty & Auctions expands and grows, opening new branch offices around the state, they’re striving for consistency in brand and marketing, while allowing some latitude for each office to specialize in certain services or operate in a specific manner, based on the demographic of the community in which they’re located. 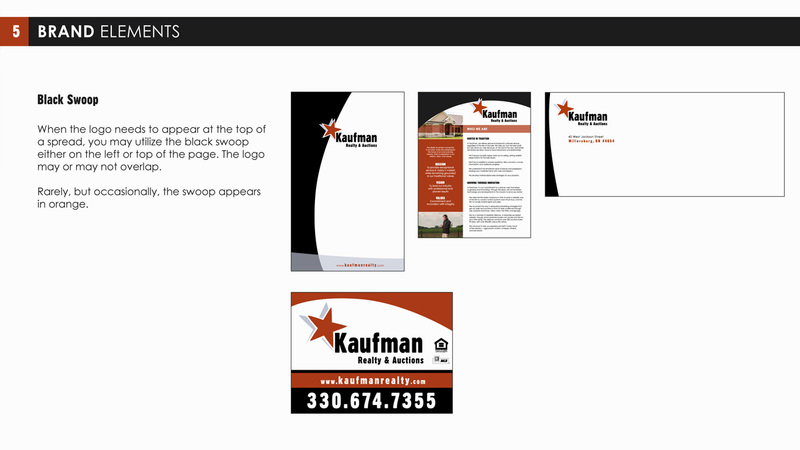 To help strike this unique balance, Kaufman came to Cassel Bear for help establishing a branchise manual and brand guide. 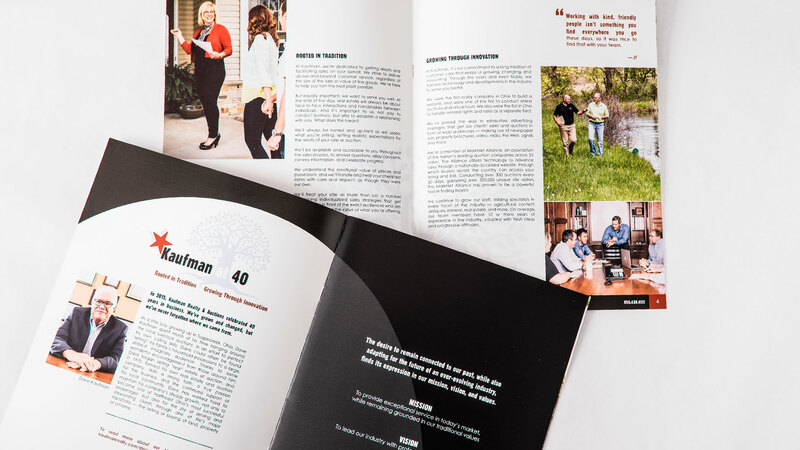 The manual – for which we did a significant amount of copywriting – covers all the basics for a team opening a new Kaufman office, from the company’s mission, vision, and values, to the process of selecting and opening a new office, to how to generate leads in a new geographic area, to legal and financial processes. The brand guide gives standards and specifications for logos, fonts, colors, and their usage. It describes a photography style and gives directives for capturing images that convey the brand. It gives samples of billboards and ads that Cassel Bear has already created for the company, and encourages the new offices to follow suit in designing new ones. 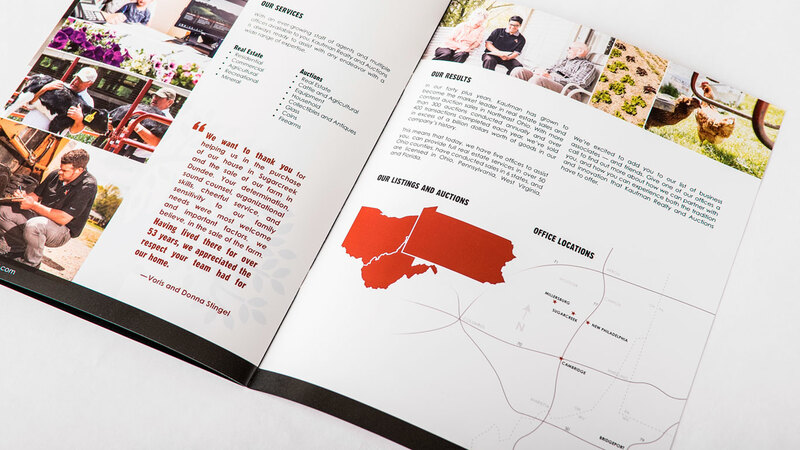 On all fronts – print, web, advertising, apparel, and more – the brand guide helps ensure that the marketing materials across all offices are consistent to make sure the brand stays strong and recognizable around the state. The team members at Kaufman Realty & Auctions often run into potential clients who are considering listing their properties, but aren’t quite ready to take the plunge. They wanted a way to keep the Kaufman name in front of these folks, without seeming too pushy. Cassel Bear designed a series of six postcards, including original photography, which the team sends out at monthly intervals. 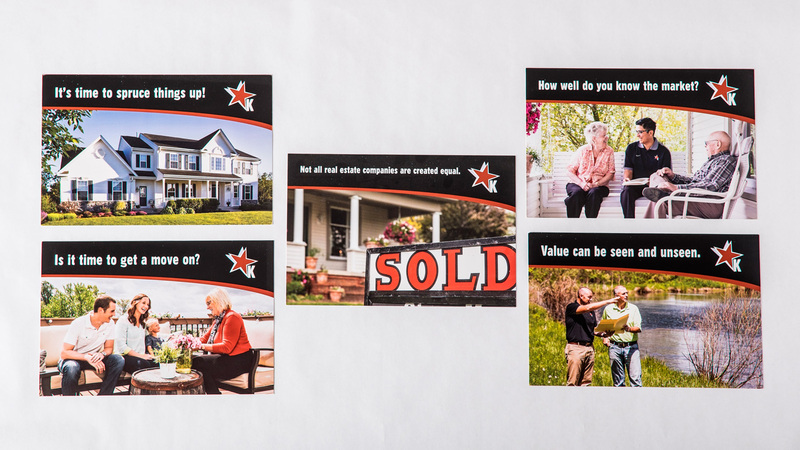 Each card reminds the recipient that an agent is ready and available to help get the property listed, while offering steps that the seller can be taking to ensure that their property is ready to be shown and that it goes on the market at the ideal price and time. 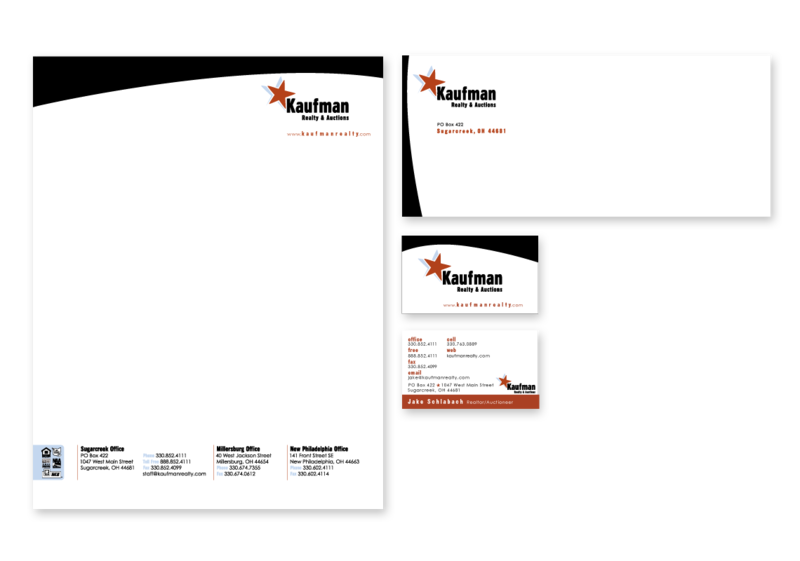 Cassel Bear designed the stationery package, including business cards, letterhead, and envelope. Every real estate contract needs a folder when it is time to close the deal. 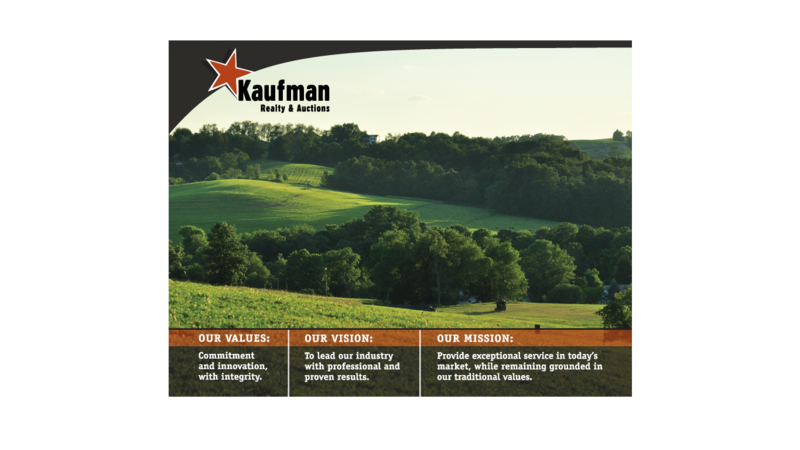 The core values poster hangs in each Kaufman office. 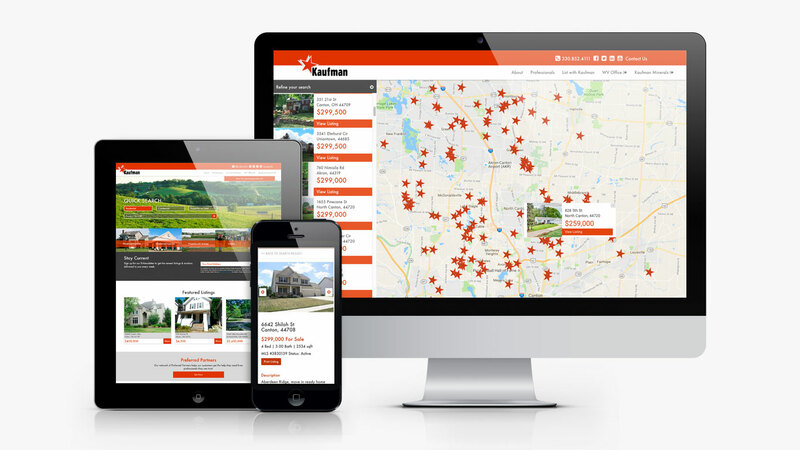 When the time came for Kaufman Realty to build a new website, two things were clear: it had to be mobile-friendly (something their previous site was not), and users had to be able to find the properties they were looking for quickly and easily. 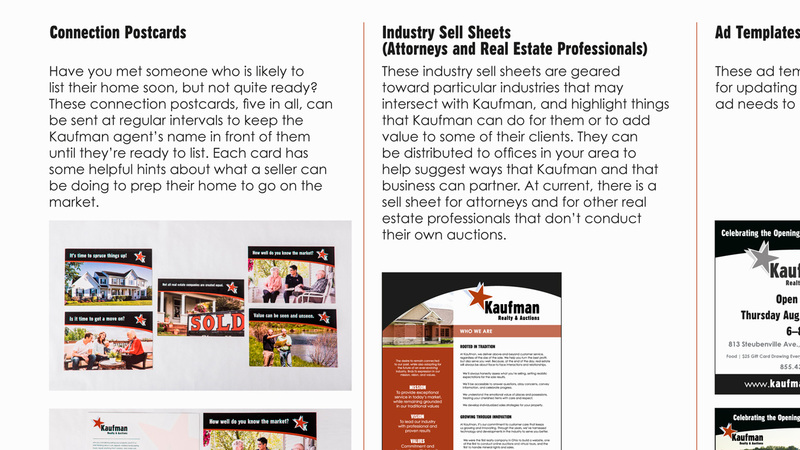 Extensive research of Kaufman Realty’s previous website and the sites of leaders in the real estate industry, helped us identify common pain points for users as well as interesting and thoughtful solutions which we could adapt to our own build.Thorough planning and internal iterative evaluation led to an interface that rivals some of the most popular real estate sites in the industry. Behind the scenes, Cassel Bear’s developers designed and programmed a custom database query solution that integrates multiple data sources (and over 300,000 listings!) into a single index, allowing a user to quickly and easily search every possible listing from the homepage. Additional search controls, such as filtering by price, square footage, or number of bedrooms, gives users even more control in seeing only the results they want. 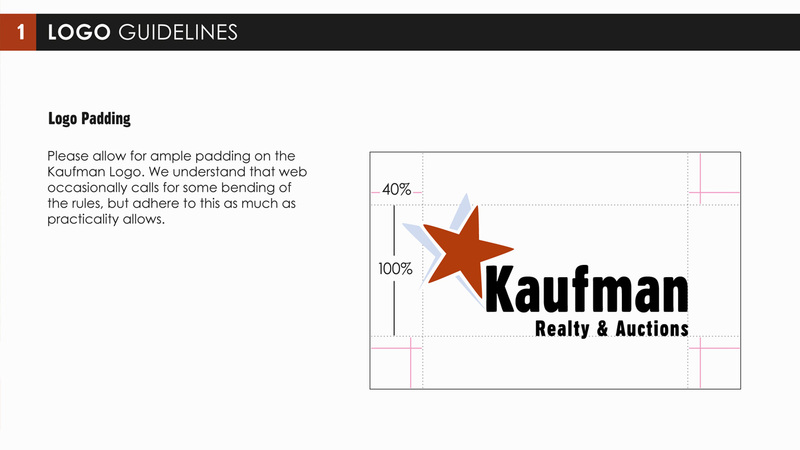 In the end, Kaufman Realty’s new website is a rich, innovative platform upon which they can continue to grow their business. 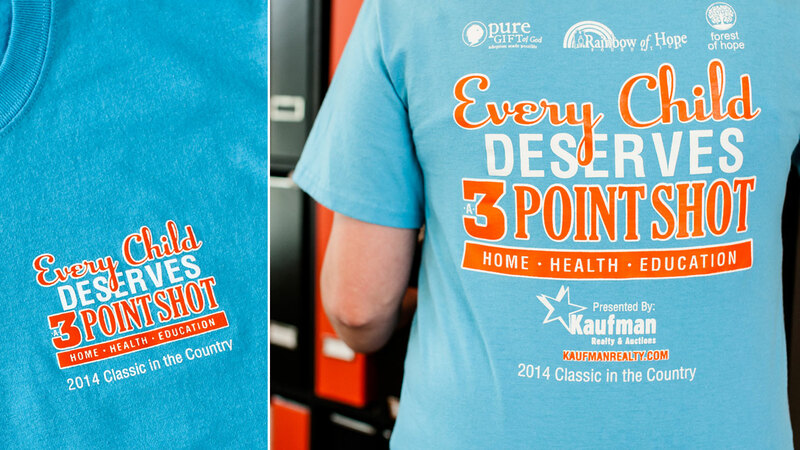 Kaufman Realty was the headlining sponsor of the Classic in the Country basketball tournament in 2014. 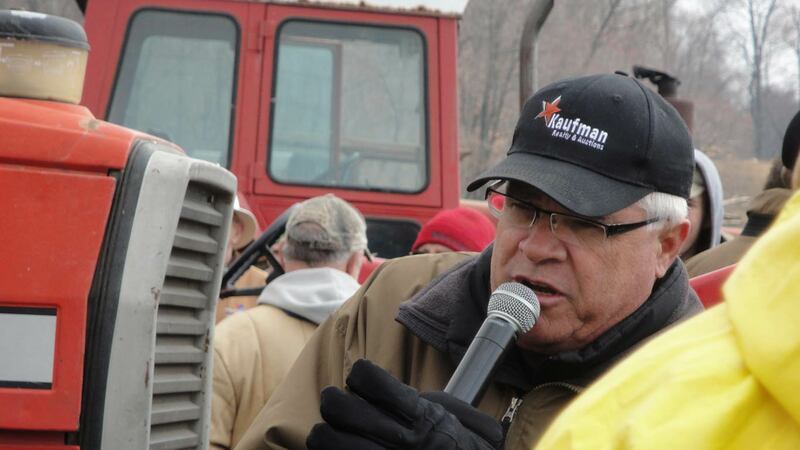 Already well-known in the local community, Kaufman wanted to use the opportunity to instead promote three charities, each one focused on a different aspect of childhood development. This T-Shirt was a part of the campaign that Cassel Bear developed. 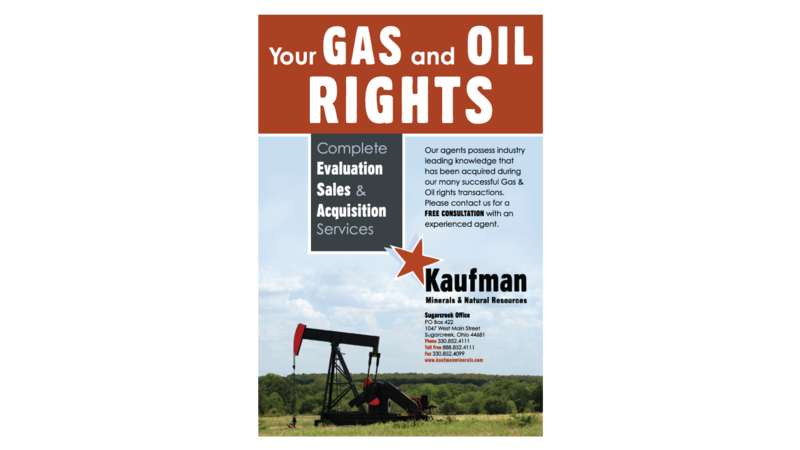 Kaufman branded ads are placed in a variety of publications throughout the year. 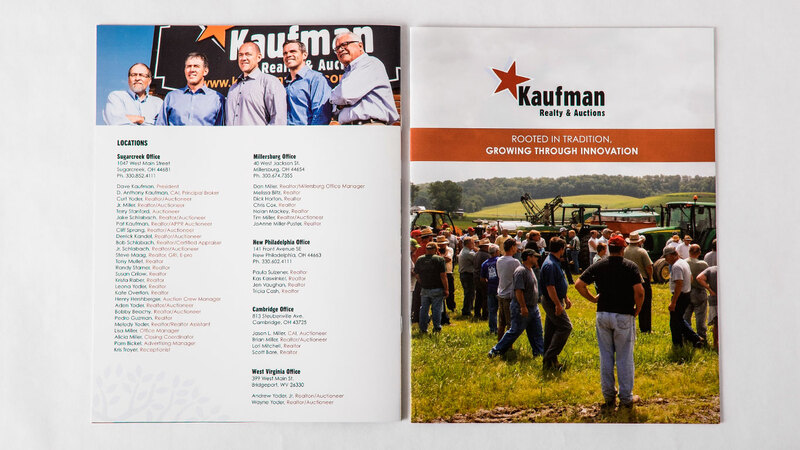 Over the last ten years, we’ve worked with Kaufman Realty & Auctions to shape their brand, grow their business, and expand their reach across Ohio and beyond.